It may be hard to believe, but it's already been a full two years since the Space Shuttle Program completed its final mission and put its magnificent fleet of ships into retirement. 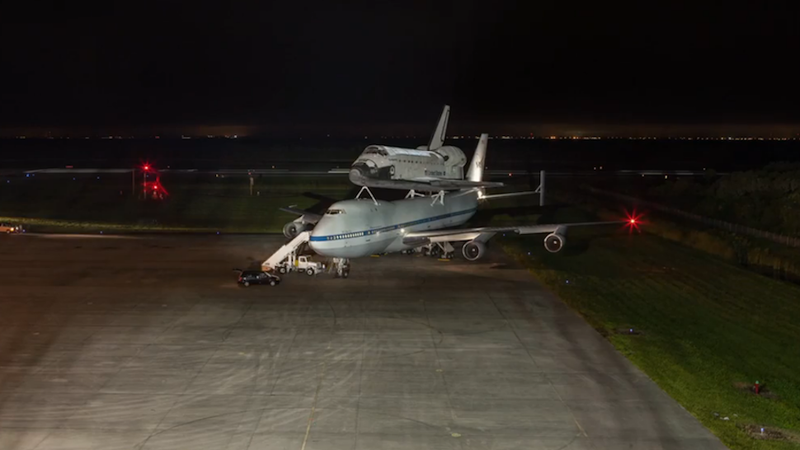 The last of these to settle into its final resting place was Endeavor, and professional launch photographer Scott Andrews caught it all in this fantastic stop-action video for Time. Using 12 cameras to capture around 500 hours of footage (or six terabytes), Andrews catches every bit of the four-day-long journey in just six-and-a-half minutes. And even with each team member only getting about four hours of sleep a day, it almost sounds like the easy part compared to what came next. With a goal of 24 frames per second, former Apple software engineer Stan Jirman (who had come along for the ride) spent 100 hours and 22 CPU days sorting through over 350,000 images to walk away with the final 9,500 frames. Then came the really tricky part: "stitching them together and painstakingly deflickering the frame-to-frame transitions, which included smoothing out the constant changes in lighting, especially those between night and day."